Stitch Encounter Tomorrowland attraction in Hong Kong Disneyland; opened July 13, 2006. 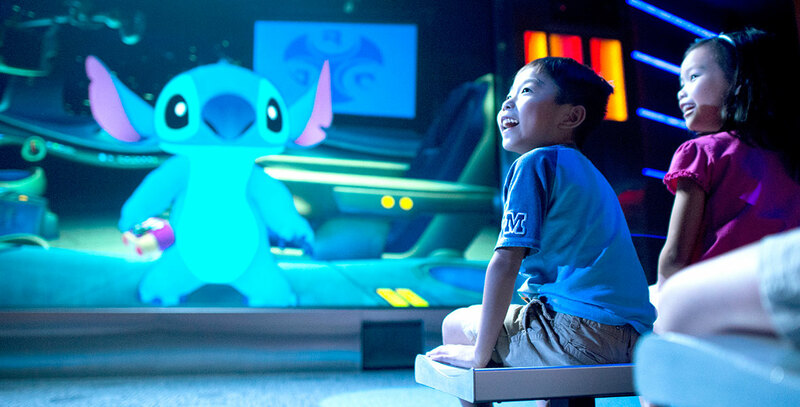 Stitch offers a tour of the stars, interacting with guests. A similar version, called Stitch Live!, opened at Walt Disney Studios Park on March 22, 2008. Based on an earlier attraction featured in Innoventions at Disneyland. A version opened in Tomorrowland at Shanghai Disneyland on June 16, 2016.